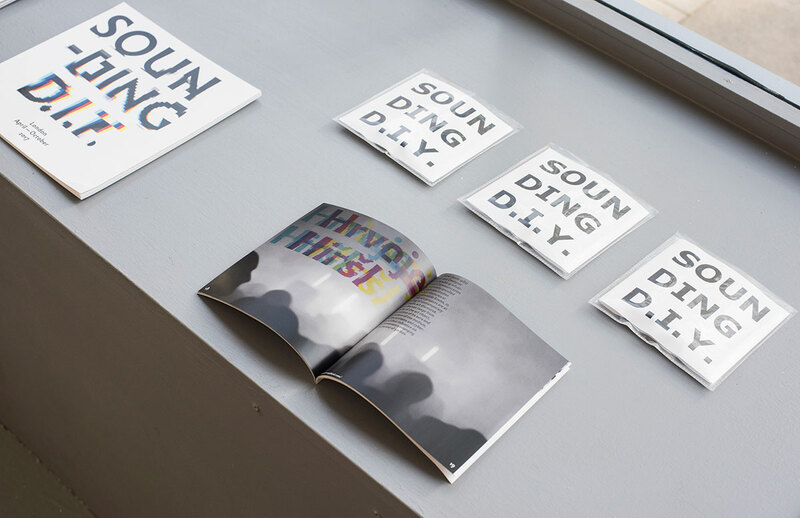 Sounding DIY highlights DIY practices versus capitalist mass production. 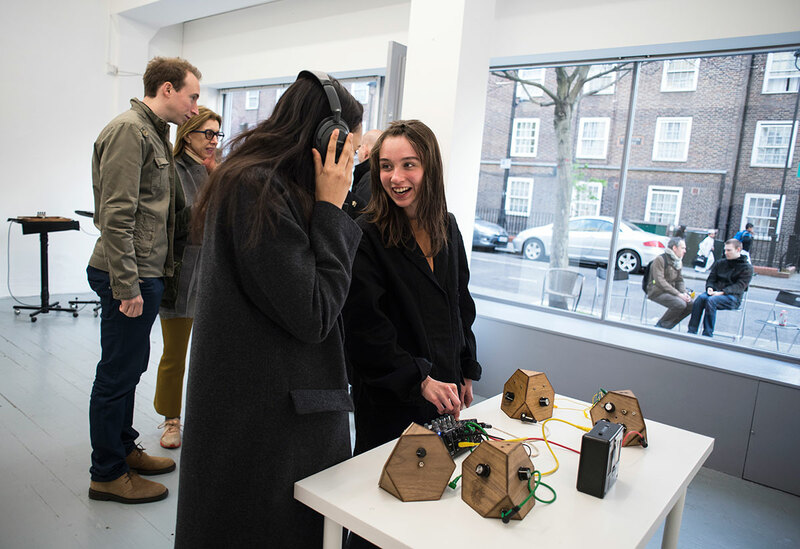 The exhibition represents a substantial change in the creation of prototypes of musical instruments and sound objects that take place in our contemporaneity. 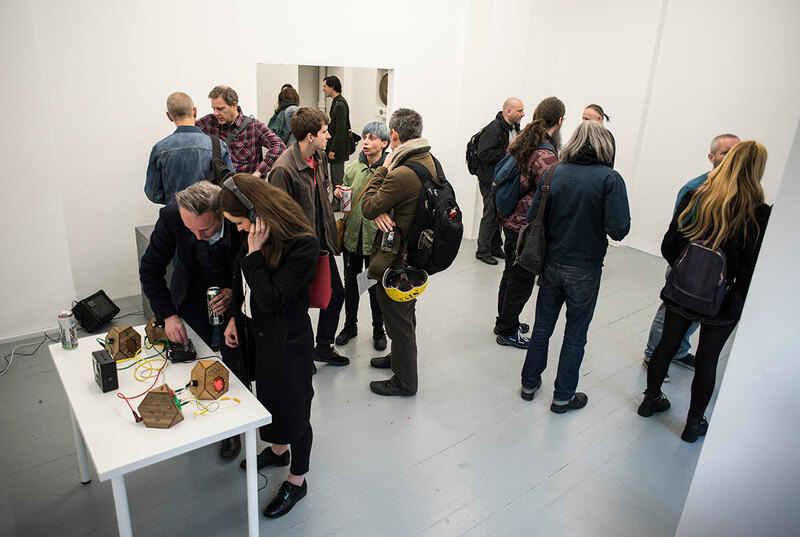 Sounding DIY works with almost thirty artists in the field of DIY culture promoting the efficiency of results obtained, both aesthetically and ideologically throughout the design of music instruments and sonic objects. 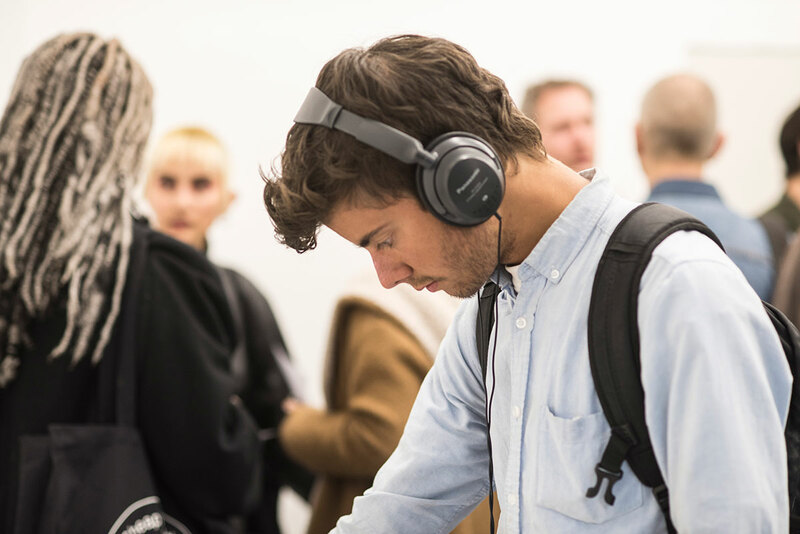 This exhibition tries to foster a community of artists, tool developers and creative professionals interested in supporting and understanding artistic practices developed with technologies. 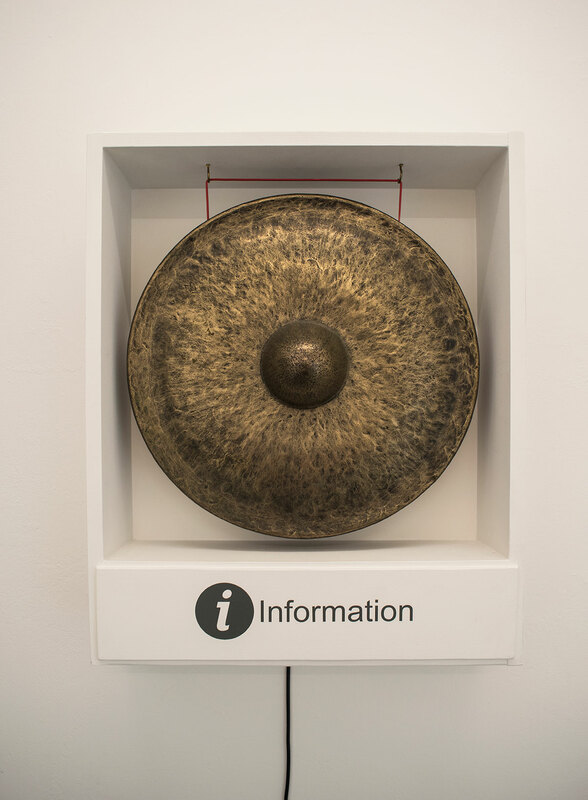 David Bloor exposes ‘The information centre’ a wooden cabinet containing a suspended sounding gong. The gong speaks a quiet binary language. The cabinet is marked by a sign saying ‘Information’. 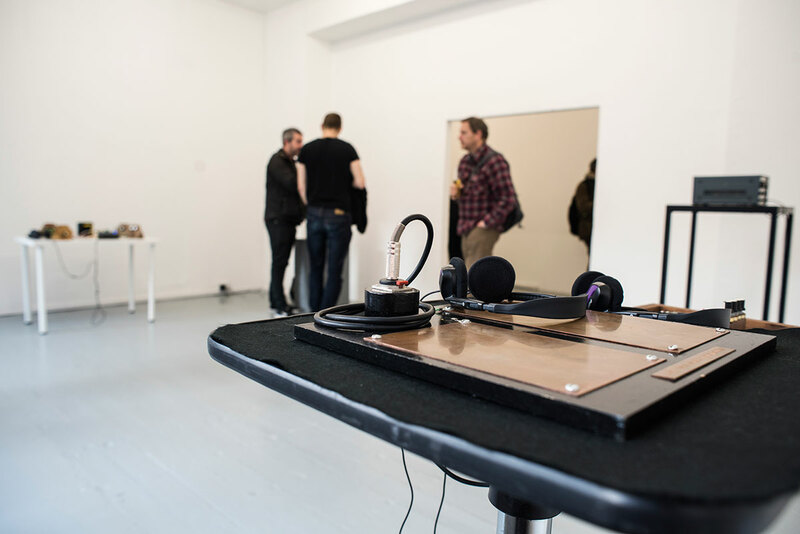 The suspended gong sounds every 10 seconds by way of electronics hidden within the cabinet. 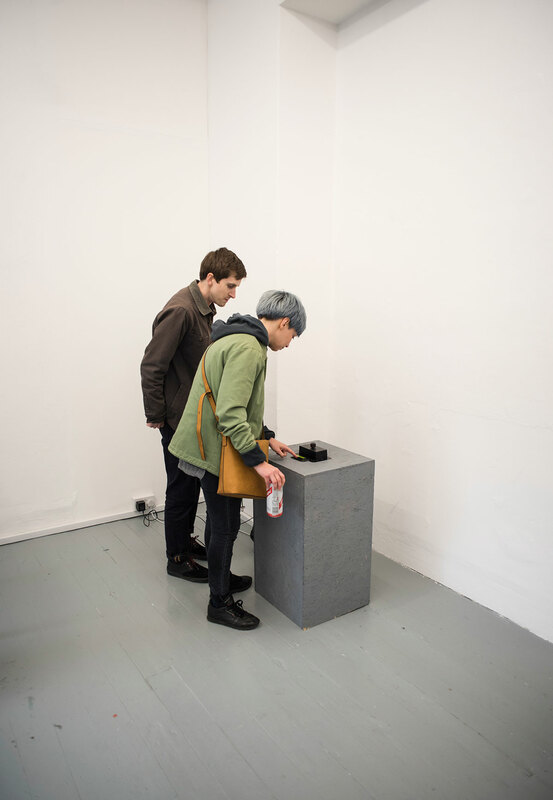 An amplified transducer converts a low audio signal from a Dictaphone, set on loop it beats the gong. 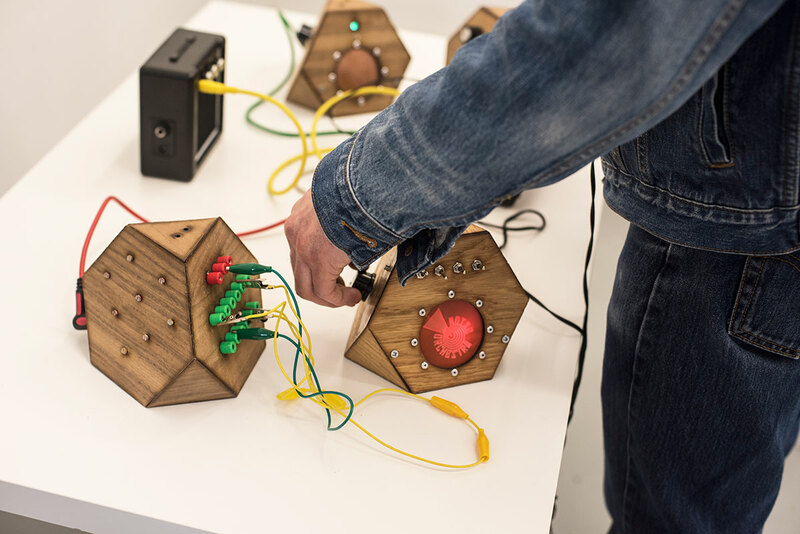 Tom Mudd, CONTROL, 2015, is an interactive installation exploring the relationships between artists, music, and musical artefacts. 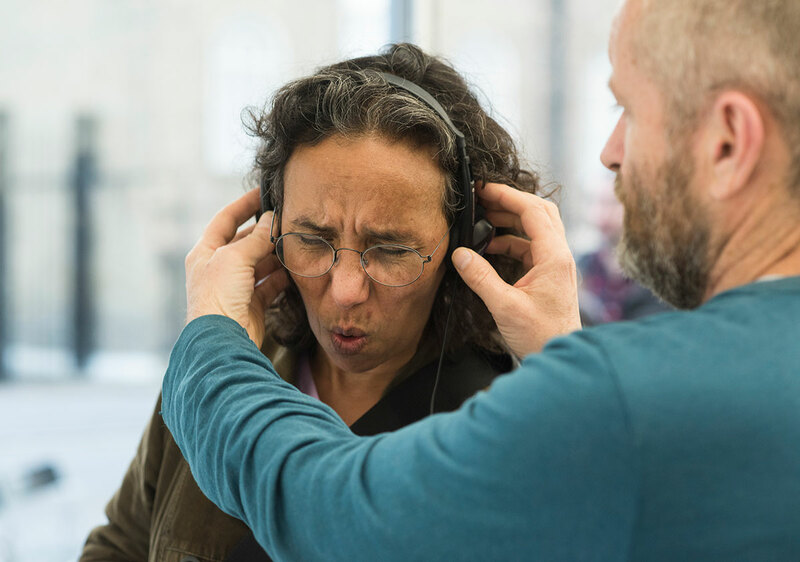 It attempts to call attention to the role that the musical artefacts play in developing musical ideas. 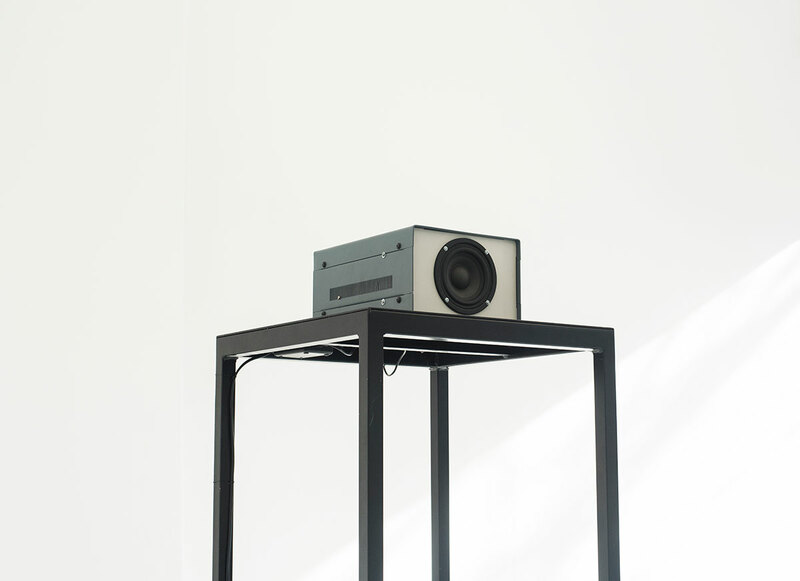 A single dial is connected to a single speaker, but the relationship between the two is not fixed; it flits between a range of possibilities composed by a diverse range of artists. 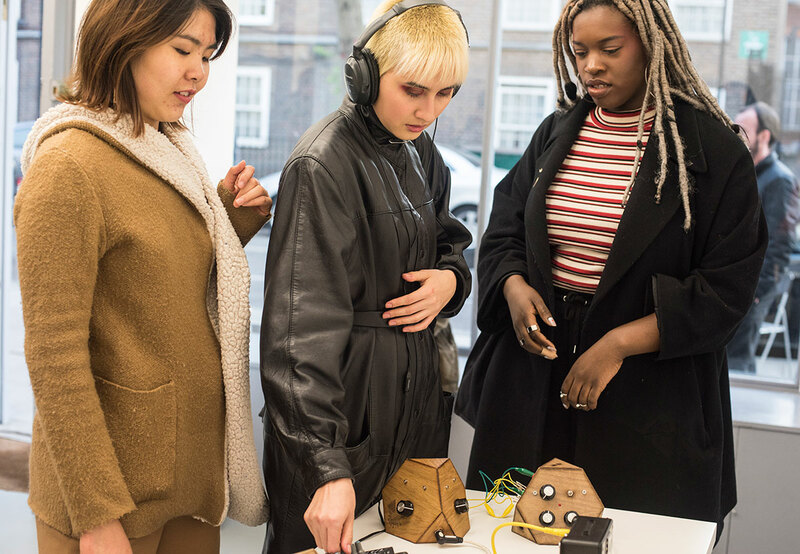 Visitors are invited to use the dial to make sounds and to thus explore the links between their actions, and the musical ideas embedded in the software by the artists. 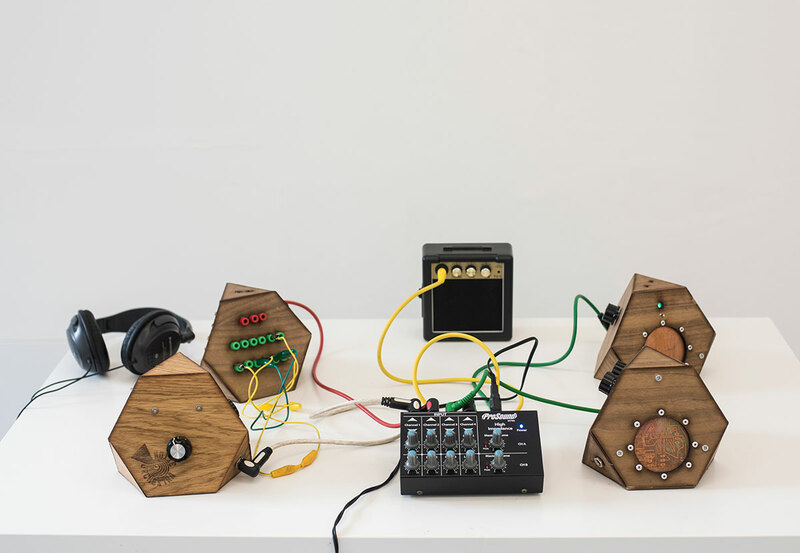 Noise Orchestra, Noise Machine is an evil space metal box electronic circuit, a no.3 in the series of noise machines that translate light into sounds using analogue electronics. 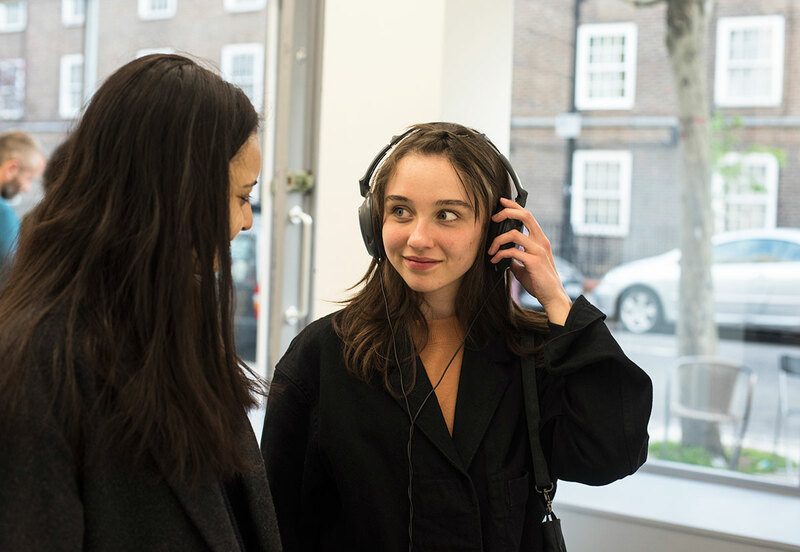 Inspired by Russian sound artists of the 1920s (inc. Arseny Avraamov), we did a sound graphical residency at the National Media Museum last year where we played the collections and undertook a research trip to Moscow (noiseorchestra.org). 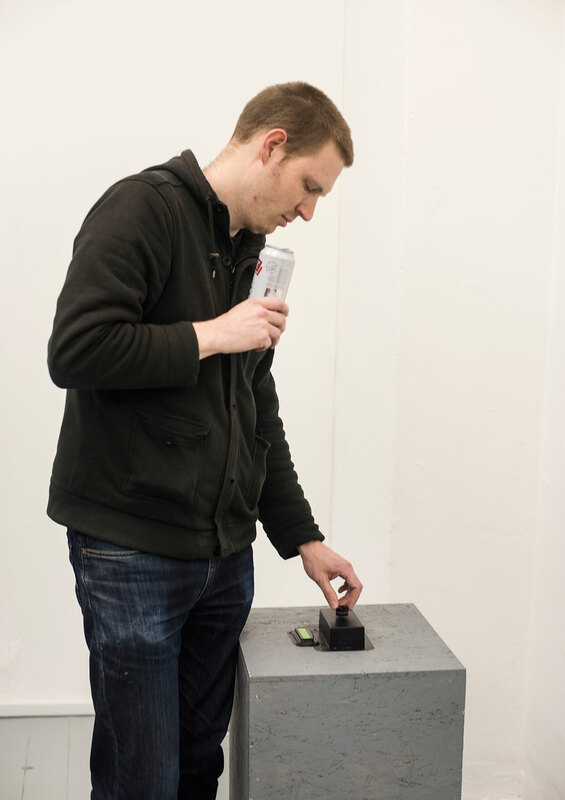 The noise machines are constructivist sculptural objects in themselves, they will be made from metal and wood, here is a link to twitter post of a paper prototype. 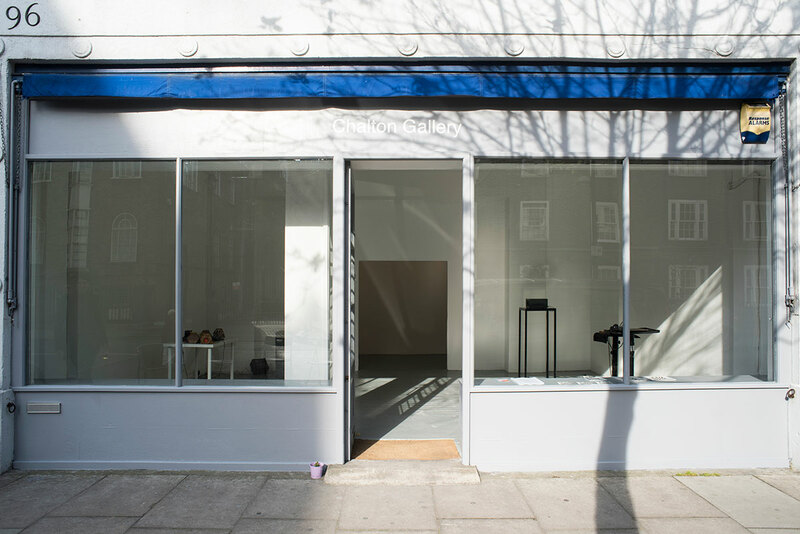 Noise Orchestra, is a collective formed by Vicky Clarke and Dave Birchall. 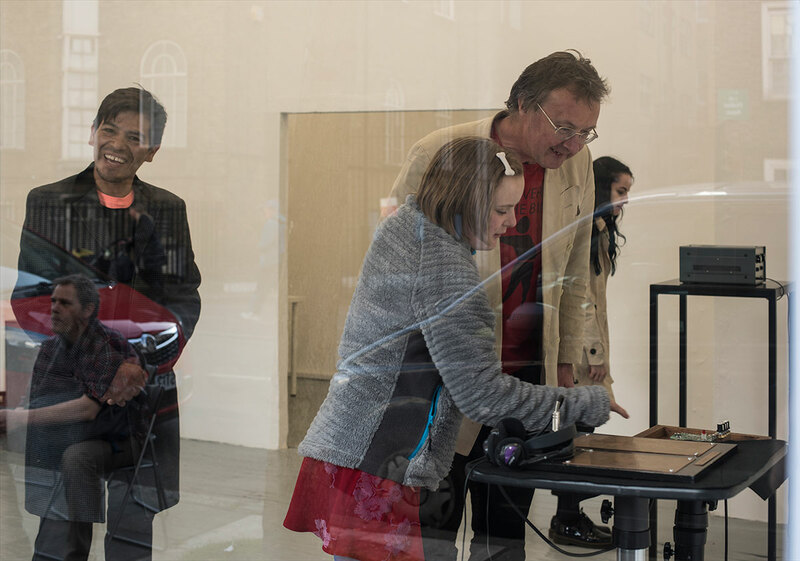 Tom Richards, Ode to the Appliance is a pre-fabricated metal case with handmade electronic circuitry. 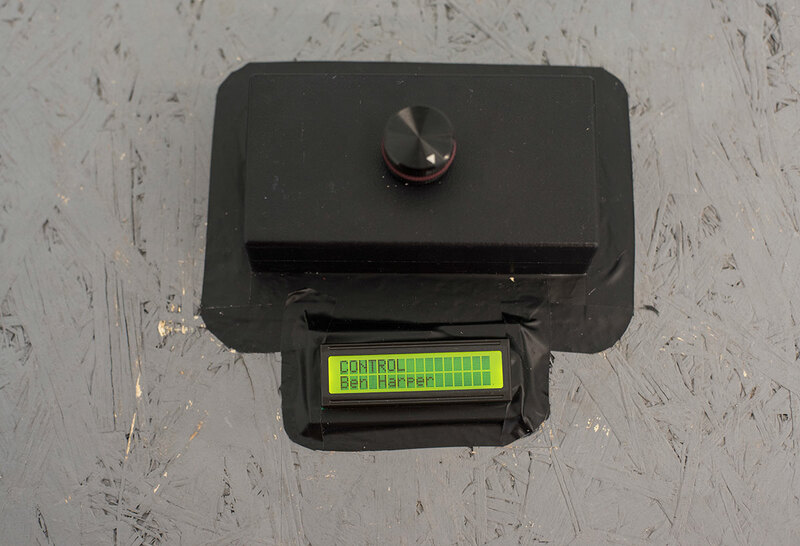 This electronically nonsensical and mysterious piece is over-engineered and old fashioned looking, harking back to 1970’s science labs and James Bond villains. It is a lament for craftsmanship and quality in an age of ever more miniature and throw away mass-produced and consumer led fact true. The machine has been designed to abuse its own components. 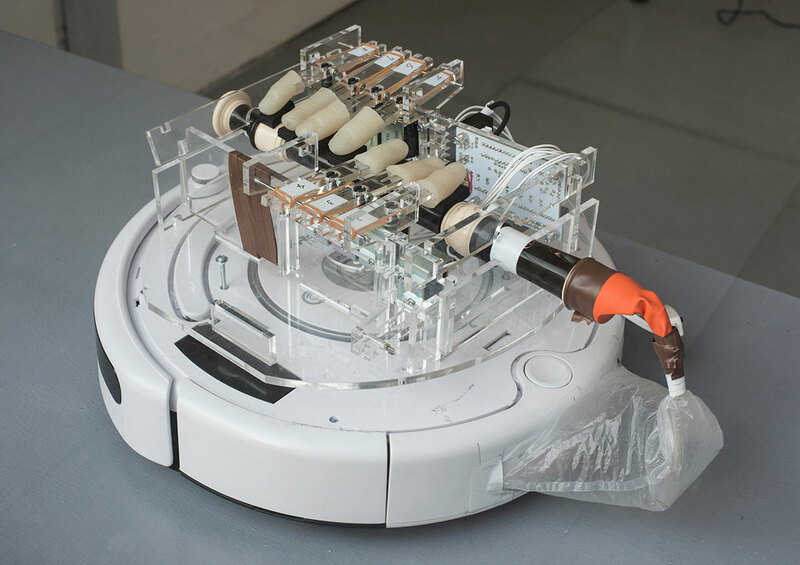 The fact that it is designed as a fully functioning purposeless appliance seems indicative of waste and gadget fetishism electronics. 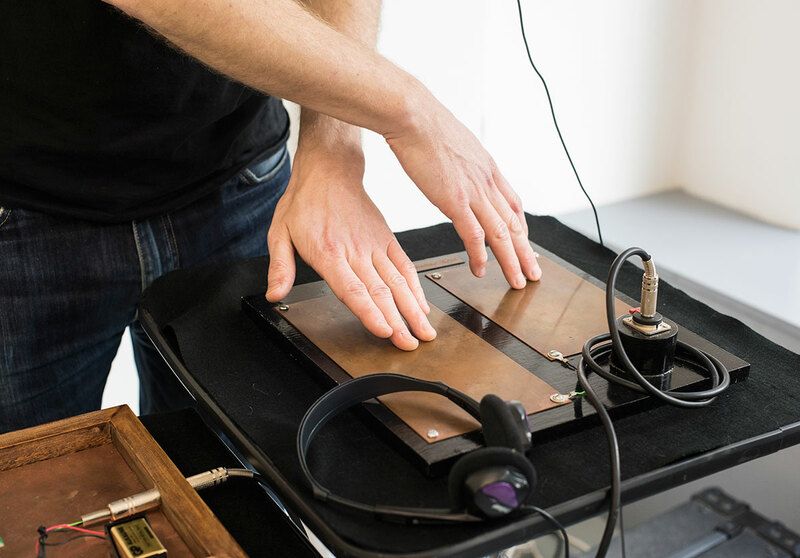 Andrew Rowe, Coppertouch Makenoise Item develops the concept about interactivity and how people relate to sonic art and art in general in gallery spaces. In so doing, sonic art generally suffers from different ‘bleeding’ from one piece into one another. 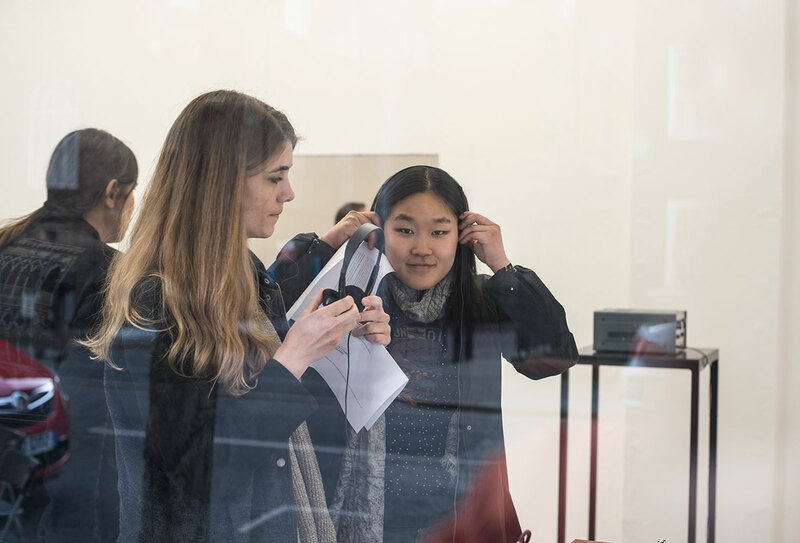 By making a piece that remains essentially silent until the audience interacts with it, the sound work attempts to address this issue. 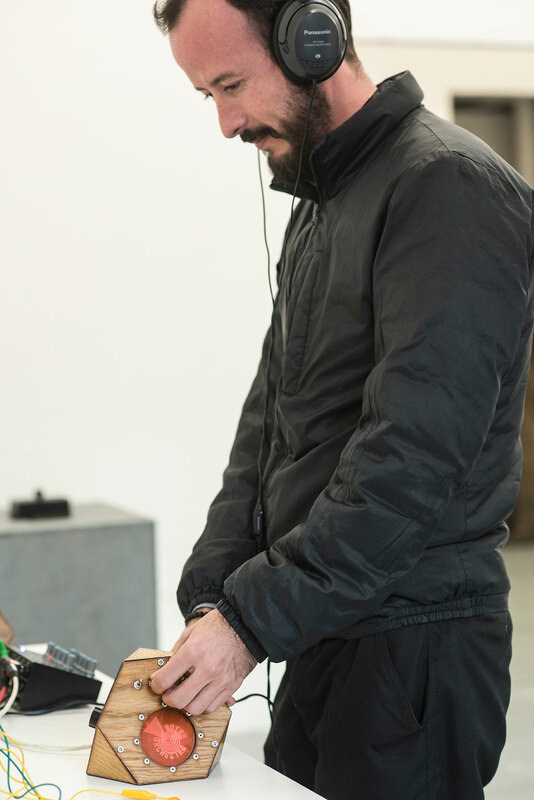 I believe that the piece can be experienced as a painting, a sculpture, a sonic artwork, an interactive exhibit, a performance and a musical instrument. 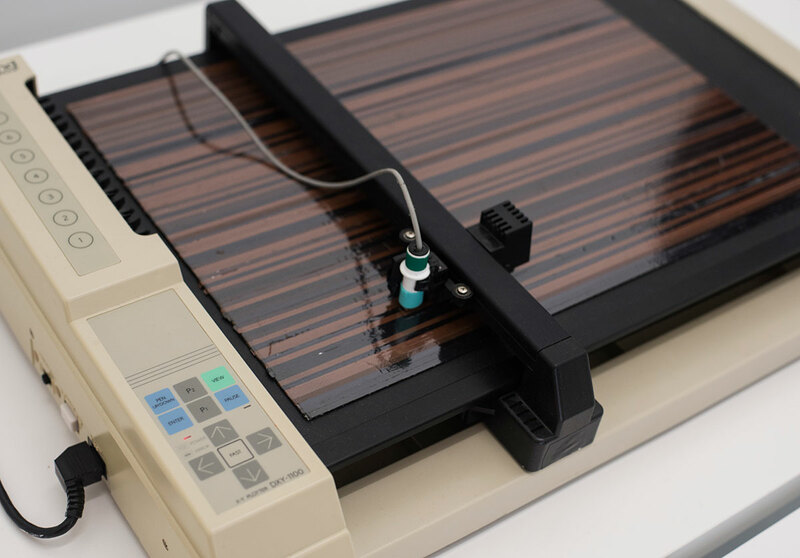 Signal to Noise, REMAP (Roland Electro-Mechanical Audio Plotter) is a prototype electro-mechanical sound device based on the Roland DXY pen plotter, a discontinued printing technology of the 1980s. 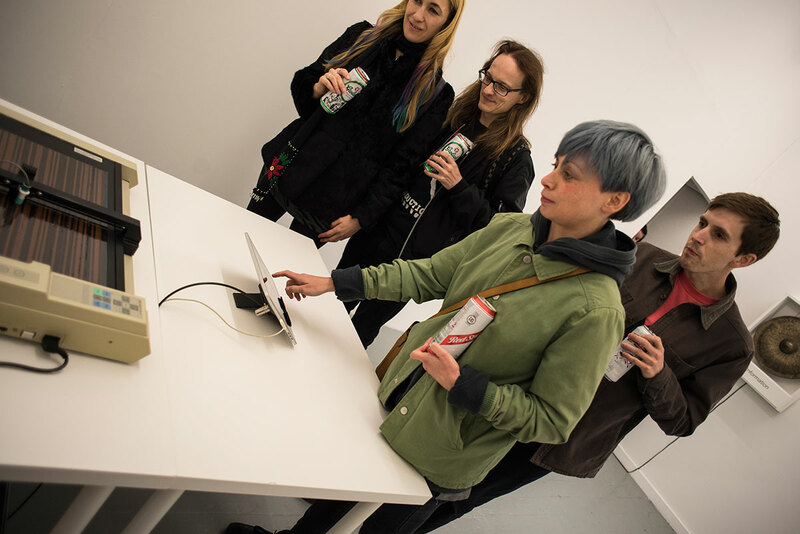 The REMAP project engages with obsolete media artefacts and technologies, with an intention to use such past mediatic devices to help critique the impact of current globalised digital and technological, consumerist culture. 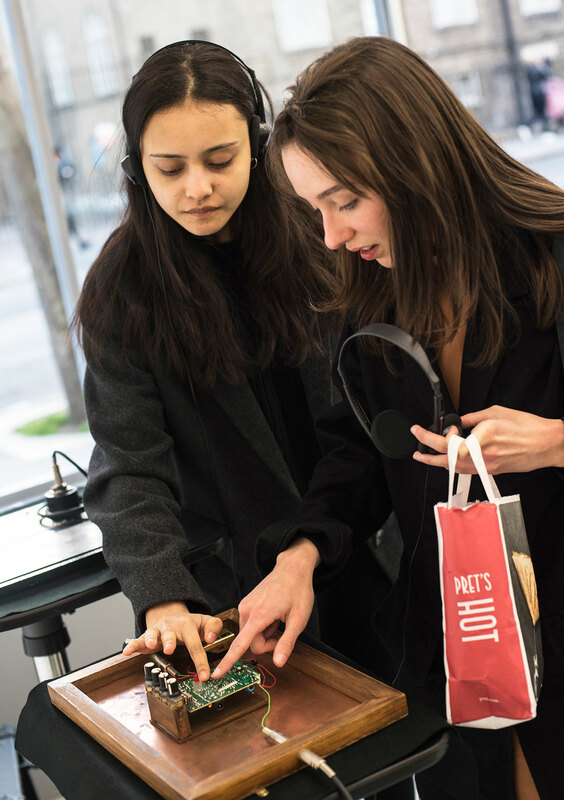 REMAP takes the form of an interactive sound installation, allowing the public to engage with this hybrid sonic device through the introduction of an iPad/touchscreen media tablet running a custom software controller.